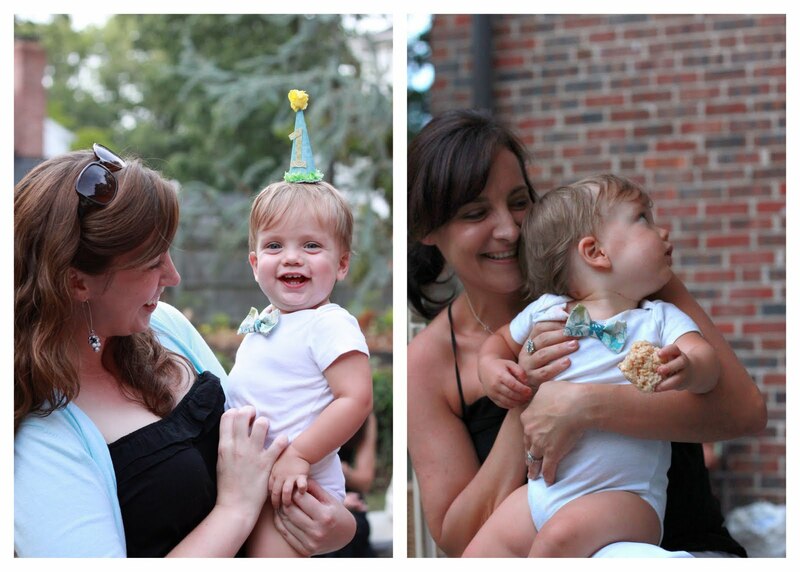 As you may recall this past weekend we celebrated out littlest man's 1st Birthday! The festivities began on Wednesday with an Auntie & Grannie party...where Coop was "man of the hour" admist a sea of ladies who adore him and love his mama. Waiting for the party to start in his personal hot air balloon. Dressed to impress with his lil' bow tie and his itty bitty party hat! I am blessed to be loved by so many fabulous ladies. great photos~ looks like the perfect day! i love the gift corrals, great idea! 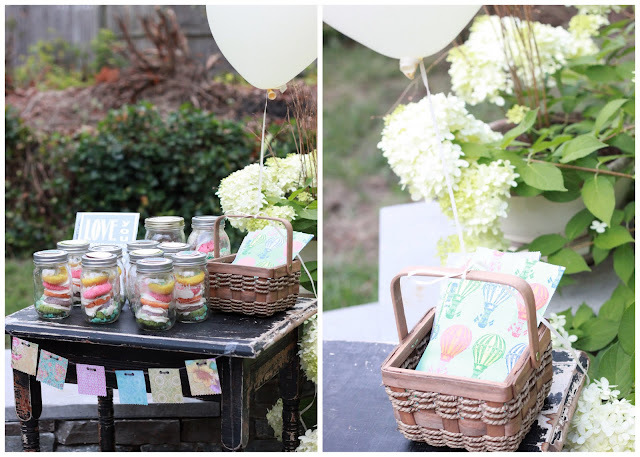 This is one of the cutest and and chicest 1st birthday parties I've ever seen. You did such a fantastic job! Love, love!! Such cute idea's!!! Such amazing talent!! Both you and Michele blow me away with the creativity!! Happy 1st birthday to Cooper! Love the blog...just fabulous! ok seriously! the picture of cooper in the rocking chair is priceless! that needs to be in a frame asap! i look forward to the party hat diy! i want to make one for ryan!